Insert inline image in Gmail If you simply want to insert image in your Email instead of attaching images. Gmail is one of the mot powerful email services that offer user a great deal of customized features. Gmail is one of the most popular email services thanks to the simplicity and robust integration Gmail offer. Users can insert inline images in Gmail and if HTML is enabled by the recipient, recipients of the email can view HTML images within the message of the email. If you want to insert inline images in Gmail follow the simple steps below. 2. In the right sidebar, click on the Gear icon and click on Settings. 3. Click on the Labs tab in the Gmail Settings page. In Search for a lab:, search for “image” and the Inserting images Gmail Labs widget will show which was developed by Kent T. Enable this widget and click Save changes. Gmail will enable you to insert inline images in Gmail. 4. 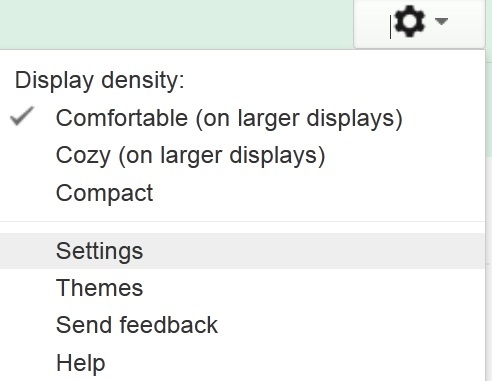 Open the Gmail Compose page and click . Upload the picture you want to insert inline images in Gmail. When you send this email, the picture will directly appear in the body of the Gmail and the recipient will be able to view it. Insert inline images in Gmail if you want the email recipient to view the image in the body of the email. Email recipient don’t have to download attachment,etc. but can simply view image inline in Gmail. Gmail offer plenty of great features that have made Gmail one of the most widely used email services in the world. Gmail offer great integration as it allows user to create Gmail HTML signatures, change Gmail default language and turn on Gmail keyboard shortcuts and enhance the Gmail user experience with great additions and features. Gmail is one of the most popular email services thank to the simple integration of search and making email simple.